Kait & Craig married on Tuesday, August 16th, 2016 at the Mountain Top Inn & Resort in Chittenden, VT. Surrounded by rolling mountains and a lake within sight, the blustery weather transformed the Vermont landscape into a as-close-as-you-can-get-to-Scotland scene. 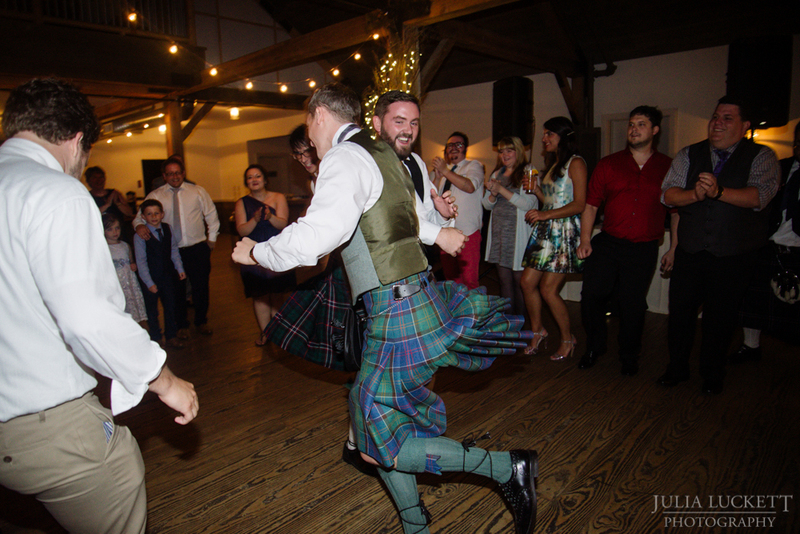 This was particularly fitting, as the couple honored Craig's Scottish background with traditions such as the hand fasting ceremony and groomsmen in formal Highland dress (including specially ordered Sgian-dubh small knives). I'm a big proponent of including as many personal touches as possible, and Kait & Craig's wedding felt like a celebration of both of their traditions and values. "Getting to write our own vows was a very emotional process for us, so when it came time to actually say the words out loud to each other in front of our family and friends it was a really powerful moment. Looking into each other's eyes and speaking directly to one another while the entire room was just overflowing with love for us, and happiness and hope for our future together... It still chokes me up a little just thinking about it. Being there to witness and document moments like these are truly touching, and inspire me to create the best photographs possible.